“Almost ten thousand Jews moved to Israel in 2015, including eight thousand from France alone. This was double the 2014 figure”, said the First Vice-President of the European Parliament, Antonio Tajani. 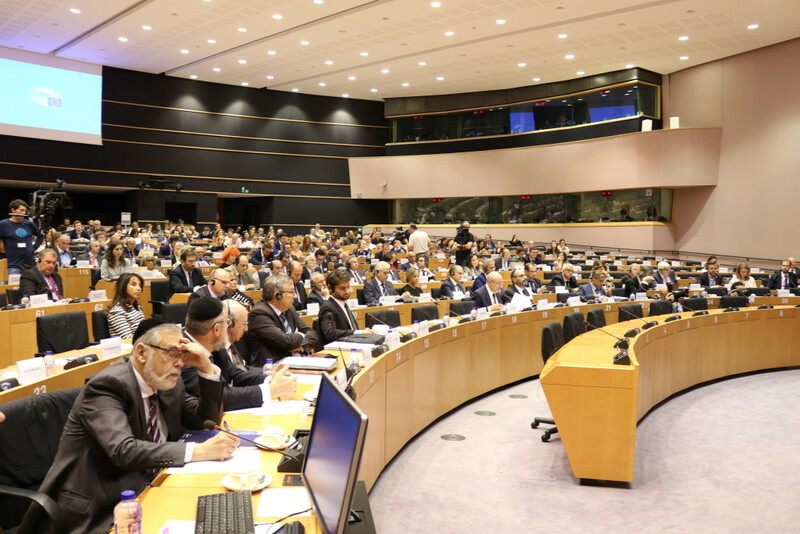 The current situation in Europe of Anti-Semitism and future prospects for Europe’s Jewish communities were debated at a conference hosted by EP President Martin Schulz and First Vice-President Antonio Tajani on Tuesday. “When we see that every fifth Jew in Europe has experienced verbal or physical violence, when these aggressions are getting more and more numerous, and when we see that the Jewish population in Europe has decreased from almost four million in 1945 to barely more than one million today, then we know that it is high time not only to make a clear political statement, but to take effective action as soon as possible. Europe has to be a better home for its Jewish citizens”, said the President of the European Parliament Martin Schulz in his closing remarks. “Some of us still have not understood that what makes us European is not our blood or religion but our strong adherence to our most fundamental values of tolerance, respect and liberty”, he added. Opening the conference, Mr Tajani (EPP, IT), who is responsible for inter-religious dialogue for the Parliament, said “According to the Jewish Agency, almost ten thousand Jews moved to Israel in 2015, including eight thousand from France alone. This was double the 2014 figure. This, sadly, is the result of a persistent climate of hatred towards Jews: their numbers fell substantially from two million in Europe in 1991 to one million four hundred thousand in 2010. Yet Europe without Jews would no longer be Europe. Among the invited guests were former Chief Rabbi of the United Hebrew Congregations of the Commonwealth Lord Jonathan Sacks, who delivered a Keynote speech on “The Mutating Virus: Understanding Anti-Semitism”, European Rabbis Conference President Pinchas Goldschmidt, Brussels Chief Rabbi Albert Guigui and French philosopher Bernard-Henri Levy. Fulvio Martusciello (EPP, IT), President of the delegation to Israel, Cecilia Wikström (ALDE, SE), Vice-Chair of the Working Group on Anti-Semitism, and Juan Fernando Lopez Aguilar (S&D, ES), Chair of the Working Group, led the panel discussions respectively on the current situation on Anti-Semitism in Europe, national patterns and experiences and future prospects. You can watch the recording of the whole debate here. The programme is available in English and French. The event is organised in the context of TFEU Art. 17, which provides for an open, transparent and regular dialogue with EU institutions and churches, religious associations, and philosophical and non-confessional organisations. This is the second event in 2016. The first was held in April and concerned European Muslims facing radicalisation. Other events in this context took place in 2015, covering tackling radicalism and fundamentalism through education and the persecution of Christians in the world.